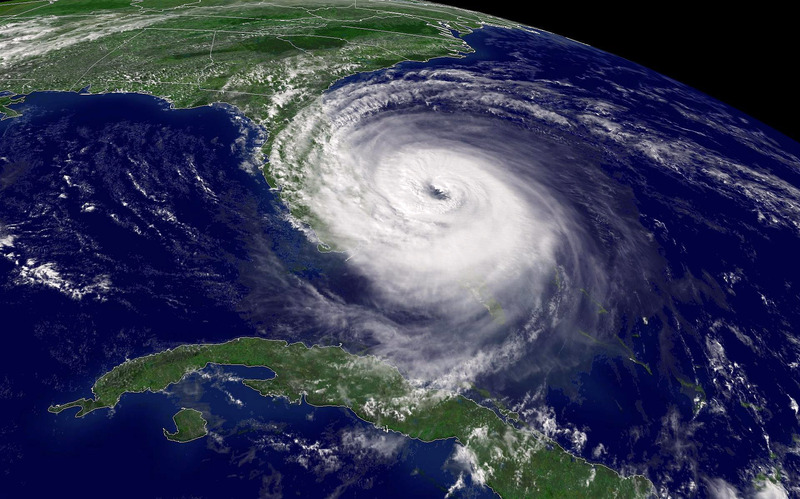 The eyewall of Hurricane Jeanne approaches Palm Beach County on September 2, 2004. Current events in our local area. Please click on one of the topics below to jump directly to a specific subject on the Bulletin Board. If you have information to be posted to this bulletin board, please send it to us in an email by clicking here. studying architecture, engineering, building construction, or plublic administration. Hurry! The deadline to submit applications is June 1, 2019. Click here to learn more about the program and download an application. To access the new FEMA Maps for Palm Beach County. Click here to access the latest prelinary map information. 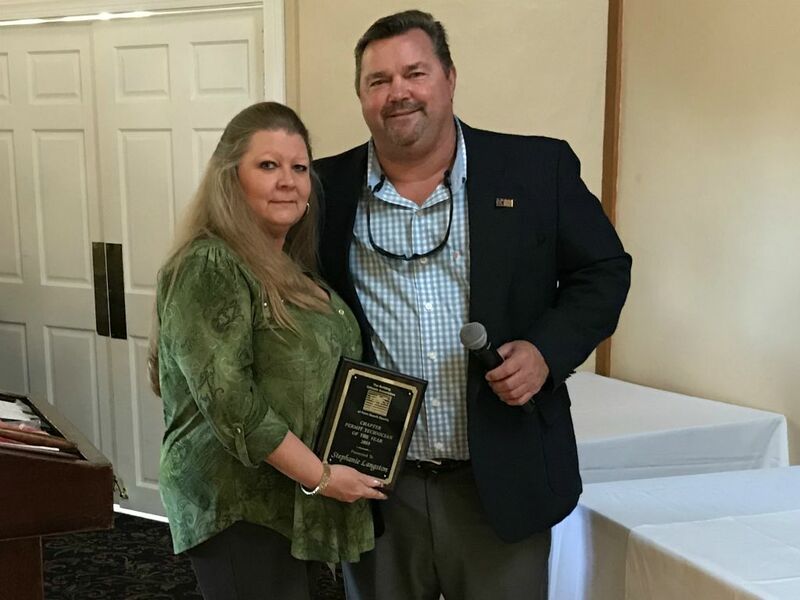 The awards were presented by President Hill at our recent Annual Banquet and Installation of 2019 Officers as depicted in the photo below. Click here to see more photos from the 2018 Annual Banquet. For more Annual Banquet photos from prior events, click here. 2018 CHARLES R. O'MEILIA SCHOLAR - We are pleased to announce that Ryan Mechiat was our 2018 Charles R. O'Meilia Scholarship Recipient!. Ryan is a Mechanical Engineering student at Florida Atlantic University. For more information about this scholarship program please click here for a scholarship introduction letter. Another scholarship will be awarded this fall. Click here for a scholarship application form. 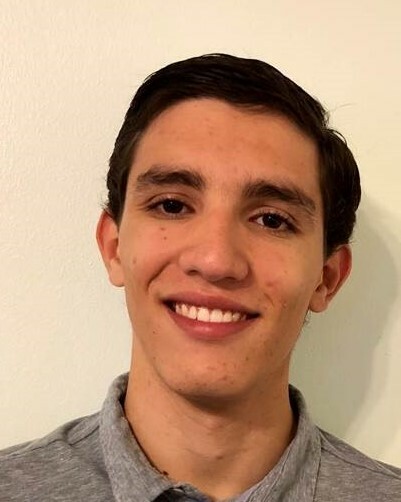 For more information about Charlie O'Meilia, the scholarship program which bears his name, or other scholarship recipients, click here. ANNUAL BANQUET AND INSTALLATION OF OFFICERS! - The 2018 BOAPBC Annual Holiday Meeting and Installation of Officers was held at Benvenuto in Boynton Beach on December 13, 2018 at 2:00 P.M. Pictures from the installation banquet are available by clicking here. Pictures from previous year's events can be viewed by clicking here. Links to PhotoGalleries from all of our BOAPBC events have been placed on our events page. Thanks to the 2018 BOAPBC Leadership for an Outstanding Year! The 2019 BOAPBC Annual Picnic was held at Ocean Reef Park on Singer Island on Saturday March 30, 2019. Everyone who attended had a great time! Click here to register for the event. There was tons of good food, drink, and fun for all. View the photos from our 2019 event below. Use the arrows (or mouse wheel in full screen mode) to scroll through the photos. Use the download button to download a medium resolution photo. Click here to view all the photos from prior events on the event archive page. If you are planning to attend or interested in helping our Picnic Committee at the 2019 Annual Picnic, please click here. Please pitch in and join us to support your local Associations! Please Join Us at the 2020 BOAPBC Picnic! If you are interested in becoming a member of BOAPBC click here to join. Please Note: You must select both a Palm Beach County and State membership category to join BOAPBC online. The 27th Annual BOAPBC - Jerry Sanzone Fishing Tournament set sail aboard the "Living on Island Time" on Saturday, April 13, 2019 at 8:00 A.M. sharp. We had another great day of great fishing. Click here to download a flyer for the trip. This year we again set sail out of the P.B. Yacht Center located at 7848 S. Federal Highway in Hypoluxo. Fishing, food, drink, door prizes, cash prizes, a 50-50 drawing, and a great time was had by all.See the photos below. Use the embed below to view the photos from this year, or click here to view the photos from this year in a new window. Click here to view photos of prior year's anglers at this outstanding annual event. Click here for more information about the Living on Island Time charter boat. There is a map to the Palm Beach Yacht Center in the flyer above. DON'T MISS THE BOAT NEXT YEAR! directly in order to to dowload the hi-resolution version. 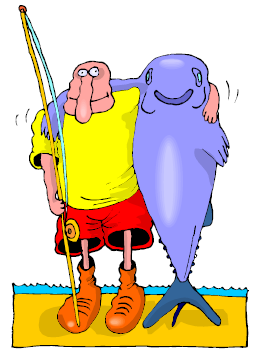 Sign up now to join us for the next "Jerry Sanzone Fishing Tournament! ***NEW - 2018 ICC Annual Business Meeting Report*** - ICC - 2018 ABM - The International Code Council hosted the 2017 Annual Business Meeting and Group "B" Public Comment Hearings, in Columbus, Ohio beginning on September 10, 2017. Unfortunately, due to the untimely arrival of Hurrcane Irma in Florida, the Florida contingent of ICC was largely absent.However, you can view pictures of our members in action at earlier events on our events page.The BOAPBC ICC ABM Photo Archive is available here. Please check the ICC 2017 Conference Link here for more event information. You can also view information and photos from previous and upcoming Annual Meetings by clicking here. Plan ahead now to join us in Richmond Virginia for the ICC 2018 ABM. Please Plan Ahead to Join Us in Richmond Virginia in the Fall of 2018! 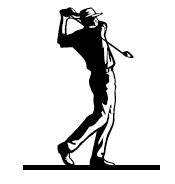 The BOAPBC Annual Charles R. O'Meilia Scholarship Golf Tournament was held on September 29, 2018 at Winston Trails Country Club - The BOAPBC Golf Committee is pleased to report that the 2018 Annual Charles R. O'Meilia Scholarship Golf Tournament held on Saturday September 29, 2018, at the Winston Trails Golf Club in Lake Worth was another successful event. We sincerely appreciate our sponsors for helping to make this event a successful one and supporting local scholarships. All proceeds from this event support the Charles R. O'Meilia Scholarship program. Check out our pictures below from this year's outstanding event! You may also view pictures from all previous Golf Tournaments on our "Events" page by clicking here. Corporate and hole sponsors are always critical to help make these events successful! Thanks again to our sponsors for their generousity amd to our participants for making the event successful. This year's prizes included cash, merchandise, and free golf. Our generous sponsors also helped BOAPBC to award additional scholarships to deserving scholars under Charlie O's name in 2018! Please visit our Sponsors page to view those firms who are helping us to fund scholarships to promote awareness of the importance of what skilled construction, design, and regulatory professionals do to design, create, and ensure safety in the built environment. Click here to send an email to our Golf Committee Chair to sponsor or get involved in the next prestigeous event. 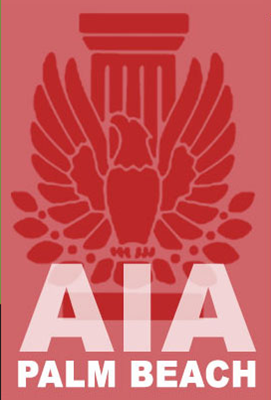 Please click here to learn more about the Building Officials Association of Palm Beach County Charles R. O'Meilia Scholarship, to view past Scholarship Recipients, or to download a scholarship application form. Plan Ahead Now to Join Us for the 2019 Charles R. O'Meilia Golf Tournament! 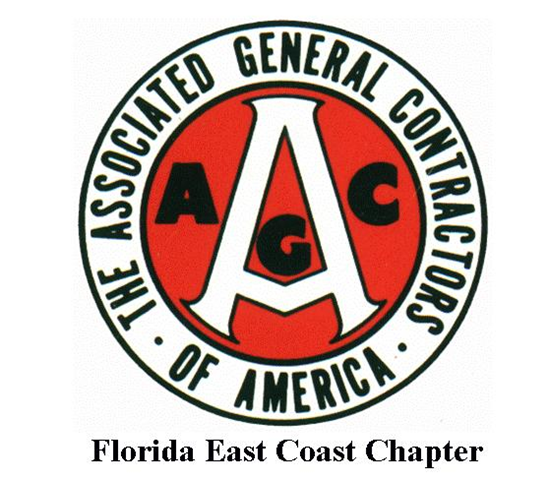 We are pleased to announce that our August 23, 2018 Chapter meeting hosted jointly with representatives from the AGC, ABC, AIA, ASCE, and GCBA at the Jupiter Community Center in the Town of Jupiter was a great success. Click use the photo browser below to view photos from the event. Please click here to download an event flyer. We were excited to have a number of local and national figures speaking about workforce development efforts and new trends and technologies.. Photos from prior events are available by clicking here. This year's VIP guest speakers include national, regional figures and representatives from the regulatory, design, and construction industry. Check out the photos from other BOAPBC events on our Event Archive page by clicking here. Thanks for Joining Us at the Joint Association Members Meeting! ***TRAINING OPPORTUNITIES*** - The latest training opportunities availalble in our area can be found by clicking HERE to visit our Continuing Education page. ***FINAL MAPS ISSUED! *** NFIP Map Changes 2017 - FEMA recently released New Flood Insurance Rate Maps for Palm Beach County. All communities receivd a LFD on March 5, 2017 but the actual maps were not issued until much later. 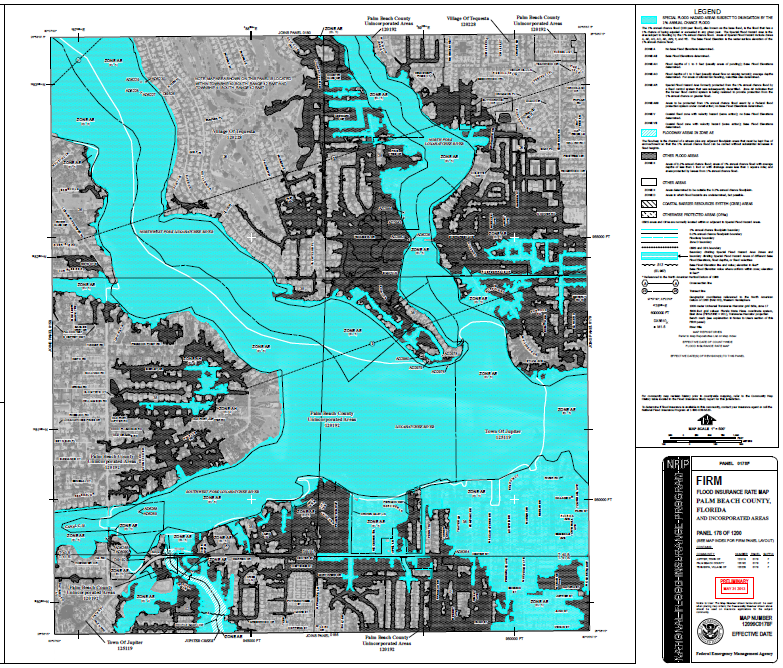 Click here, to download the final map products fema has released for our area. Click here to read about the new maps and click here view a flood map tool provided by Palm Beach County GIS Division. Thanks to extraordinary teamwork between the jurisdictions, Palm Beach County League of Cities, water management districts, floodplain managers, local engineering experts, and our Congressional Delegation, Palm Beach County jurisdictions were afforded two extensions to provide time to submit stormwater improvement projects for inclusion in the new preliminary maps.. Click here to view information about the National Flood Insurance Reform Act of 2012 (Biggert-Waters). Click here to visit the National Flood Insurance "Flood Smart" Web site. Click here to view (and search) the National Flood Insurance Policy Index for NFIP definitions, publications, and policies. BOAF RELEASES POSITION REGARDING PENDING LEGISLATION - BOAF released a position paper in 2016 with respect to legislation under review in the Florida Legislature. Click here, to download the position paper. To view the BOAF Legislative Issues page please click here. SB7000 - Proposes to freeze the Florida Code Development Process with the 6th Edition 2017. BOAF opposes this bill as initially proposed. To view BOAF's position paper on this legislation please click here. SB860 - Revises the requirements for licensure as a Building Code Administrator or Inspector. BOAF proposed this bill with support of Senator Brandes. To view our press release on this legislation please click here. Florida Senate Bill 704 - 2016 - The Florida Legislature is currently reviewing Senate Bill 704 a bill with widespread potential impacts on our licensing and permitting activities. Click here, for a summary of the bill's effects in a word document. Click here to view the Senate Web Page with analysis. Click here to download the bill text itself. Florida House Bill 535 - 2016 - The Florida Legislature is currently reviewing House Bill 535 a bill with widespread impacts on permitting activities that are ongoing in 2017. Click here, to visit the Senate's Web page including anaylsis. Click here for a line by line analysis in a word document. Click here to download the bill text itself. 2017 Florida Code - Proposed Changes - The Florida Building Commission is currently reviewing proposed changes to the 2015 International Codes to create the 2017(?) Florida Codes. The first public comment period closed on February 25th. Click here to access resources regading the proposed changes. The Building Officials of Florida has developed a position statement supporting strict adherence to Florida Statute with regard to the development of the Florida specific supplements to the International Codes. Please get involved and support our Association in supporting elimination of unnecessary bureacracy and political influence on the adoption of life safety regulations in the State of Florida. Click here and hit the "search" button at the bottom of the page to see all the proposed code changes for the 2013 codes. ***NEW*** NFIP ELEVATION CERTIFICATE TO BE REVISED IN 2016 - FEMA recently developed a revised Elevation Certificate form for use in the National Flood Insurance Program. In case you hadn't noticed, the current form expired on July 31, 2015. However, the new form is not yet posted on FEMA's Web site. Although it has been reported otherwise, it is anticipated that when the new form is released on FEMA's Web site, a "phase in period" of one year will begin.Click here, to download the latest Elevation Certificate that FEMA has released. ***CLICK HERE TO RENEW YOUR MEMBERHIPS NOW*** ICC BUNDLE DISCOUNT - Please show your support for our Association by renewing your memberships now! BOAF and BOAPBC memberships expired on December 31. Again this year BOAF has negotiated a "discount" rate with ICC if you "bundle" your memberships. You can bundle (or add) an ICC membership with (to) your 2016 BOAF membership for an additional $35 dollars. This is a substantial discount of over 50% off the standard ICC membership rate and is available to all membership categories. Note, this "group" membership will not confer voting eligibility unless you are an active governmental member, but it will entitle you access to member discounts and publications (you will not receive a free code book). Your ICC membership will become effective on March 15. Hurry, there are a limited number of ICC group memberships available and only for a limited time. Please click here to renew your memberships now. DON'T FORGET TO INCLUDE YOUR LOCAL CHAPTER (PALM BEACH COUNTY) MEMBERSHIP! Six Pillars P&Z White Paper - The Palm Beach County Six Pillars Business and Economic Competitiveness group recently released a best practices white paper for planning and zoning departments. Please click here to view the white paper and exhibits. Please click here to visit the Florida Chamber of Commerce Six Pillars Web page, and here to view a copy of the Palm Beach County Six Pillars Strategic Plan. BOAF MODEL BY-LAWS - On January 18th and 19th in Lake Mary, the BOAF Board of Directors approved the new Model By-Laws presented by the By-Laws Committee. Please review the new Model By-Laws by clicking here. SPONSORS PAGE - Our ongoing scholarship efforts are not possible without the generousity of our corporate sponsors. Please show your support for our Association by also supporting our corporate sponsors with your patronage! Please click here to view the list of our fantastic sponsors for BOAPBC events. PAST PRESIDENTS PAGE - Past Presidents and Honorary Lifetime Members In recognition of those who faithfully have served our organization from its inception, we present the "Past Presidents and Lifetime Honorary Members Page"! Please click here to view the list of those who have led the way! NEW HONORARY LIFETIME MEMBERS - over the past 2 years we have awarded Honorary Lifetime Member status 7 of our long term active members. Don Johnson, Bill Staples, Joe Crisafulle, and Roland Holt were inducted into our BOAPBC "Hall of Fame" at our 2014 banquet. Bob Boyer, Victor Chodora, and Richard Gathright were enshrined in 2015. See the list of Honorary Lifetime Members here. See the Offical BOAPBC Resolutions here. JOIN US IN OUR MISSION TO PROMOTE BUILDING SAFETY! 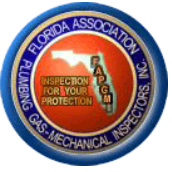 - BOAPBC Membership Application - If you wish to become a Regular or Associate member of the Building Officials Association of Palm Beach County and the Building Officials Association of Florida click here for an online aplication form. Select "Palm Beach County" (Associate or Active). Note: Active Members are actively employed in the enforcement of building codes and standards within your community. All others interested persons are eligible to become Associate Members. You can read more about the mission of our Association here. The BOAF Board of Directors met on January 29th in Tallahasseel in advance of our visit to the State Legislature the next day. There was an excellent opportunity for BOAF representatives to meet with many of our local Legislators as well as State Officials especially during the current legislative session. You can see the photos of our 2018 Legislative Delegation below or by clicking here. Plesae reach out to your local legislator and let them know who you are and how what you do every day helps to keep their constituents safe. PBCRSMCA Meeting- Representatives from the City of West Palm Beach, Village of Wellington, and Royal Palm Beach attended a meeting of the Palm Beach County Roofing and Sheet Metal Contractors Association to discuss issues of common interest. See the photos from the meeting below or by clicking here..
CRS EXPO- Boynton Beach Mall - Countywide Community Rating System Flood Expo. The Countywide CRS Flood Expo at the Boynton Beach Mall on June 18th, 2016 was a huge success. BOAPBC representives from West Palm Beach, Village of Wellington, North Palm Beach, and the County set up and staffed the BOAPBC informational booth to answer questions for members of the public about floodplain construction, hurricane resistant construction, and pending changes to the National Flood Insurance Program. There were a lot of citizens who visited our booth and picked up FEMA and other relevant literature on how to protect their properties. This year members of the public were able to view the Preliminary Flood Insurance Rate Maps for their properties. Click here to visit our Legislation section and get more information about pending changes to the National Flood Insurace Program. Check out the photos of our team below. Palm Beach State College Green Expo - Palm Beach State College - May 4, 2013 Several of your local BOAPBC Chapter Members staffed a booth at the Palm Beach State College 2013 Green Expo to answer questions for members of the public about permitting, green construction, floodplain construction, hurricane resistant construction, and the National Flood Insurance Program. Due to the new CRS requirements most agencies will need to demonstrate additional outreach activities as compared to past years. We discussed green code requirements, disseminated ICC brochures, FEMA floodplain information, and other relevant literature to our citizens on how to protect their properties. Click here for a map to the PBSC Lake Worth Campus. The Expo was held on the North side of the campus near the building trades and industry training buildings. Check out the photos from last year's event on the PBSC website! e4 / National Green Schools Conference - Palm Beach County Convention Center - On February 23, 2013, BOAPBC Members from West Palm Beach and Palm Beach County staffed a booth at the e4 Summitt / National Green Schools conference to answer questions for members of the public about permitting green construction, floodplain construction, hurricane resistant construction, and the National Flood Insurance Program. There were a lot of citizens who visited our booth and picked up ICC brochures, FEMA floodplain information, and other relevant literature on how to protect their properties. Check out the photos from the event! AIA - PALM BEACH COUNTY - American Institute of Architects - Palm Beach County - On February 23rd, 2012, the Building Officials Association of Palm Beach County and AIA Palm Beach held a joint meeting to discuss electronic plan submittal and review and electronic document certification. Mike Fichera from the City of Boca Raton and Ron Regueiro from the City of West Palm Beach presented overviews of their versions of the ProjectDox electronic plan review system. Architect, Joe Gomes with GS&P and engineer Bob Davenport with RGD & Associates discussed their perspectives. Jeff Taylor from the Town of Palm Beach discussed Blue Beam, another electronic plan review system the Town is using. It was a lively discussion and those in attendance were able to find a lot of common ground to work together on in the future. We appreciated the opportunity to meet jointly with AIA Palm Beach and the other design professionals and we look forward to more joint efforts in the future. Click here for more information on upcoming events. BOAF Local Chapter Outreach to Industry - The BOAF Board of Directors has appointed a sub-committee from South Florida to study the feasability of hosting local chapter continuing education events geared specifically towards contractors and design professionals. The topics covered will meet all renewal criteria for contractors, architects and engineers, and include such subjects as the most common inspection violations and the most common plan rejection items as well as covering in depth inspection and plan review checklists. This proposal was based upon a business plan outline developed by Paul Goia. It is hoped that this type of training being conducted around the State will generate additional revenue for both BOAF and the local chapters and increase industry and design group memberhips in our assoiation. More to come soon! The Regulatory Climate Survey Report - Many of you participated in a recent survey or attended the resulting workshop that was conducted through an industry / governmental partnership initially started by the Economic Council of the Palm Beaches in an effort to identify best practices and deficiencies that may help us to attract more outside investment to the Palm Beach County area (see the press release). The workshop and survey results indicate we may all be able to save time and effort by standardizing policies or processes to improve consistency, predictability, and our ability to attract external economic investment. For a copy of the final report please click here. Please click here for a copy of the power point which was presented at the workshop and here for a list of workshop participants. For more information and copies of the Market Street reports which identified key concerns affecting potential investment in our area click here to visit the Economic Council's Reports Web page. For a copy of the survey report backup data in Excel format please click here. If you have developed a "best practice" in the form of a policy, procedure, checklist or just a form, both the Building Code Advisory Board and the Regulatory Climate Committee are seeking your input in trying to develop some best practices. Please click here and send us a few of your "very best" ideas by email so we can all help each other to continue to succeed in these challenging economic times. MEETING MINUTES- The minutes from past BOAPBC meetings are available for download by clicking here. GUEST SPEAKERS - WE CAN'T SUCCEED WITHOUT YOU! - We are sincerely appreciative of our Monthly Guest Speakers who help us stay in touch with current events and technology in our industry. 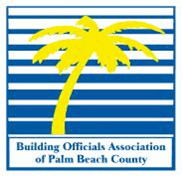 If you are interested in being Guest Speaker and would like to present your product or other information to the membership of the Building Officials Association of Palm Beach County, Please click here to send us an email. We are always seeking to learn more about new products and technology or changes to the regulatory framework we all work within. GUEST SPEAKER HALL OF FAME - In recognition of those brave few who have volunteered to spend their time and effort to stand tall before "the world's most discerning group of critics" we salute your courage and achievement and offer the following link to our speakers recognition page in gratitude. 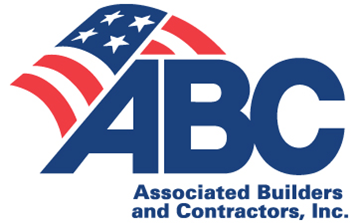 AUGUST CHAPTER MEETING - The August 2016 BOAPBC Chapter Meeting is our annual Joint Meeting with Industry and will be held at a location TBD on August 25, 2016.. More details and a map to the venue can be found above in the "Events" section. MONTHLY MEETINGS - The "regularly recurring" BOAPBC meeting is held on the fourth Thursday of each month unless noted otherwise (except during, November and December, which are typically held on the 3rd Thursdays due to the Fall holidays) at 12:00 P.M. at the Palm Beach County Building Department, 2300 N. Jog Road, West Palm Beach, FL 33411-2741, in the Vista Center Room 1E-58. Please send us your current events in a email by clicking here.